In 1961 Antonio Valtl decided to look for a site that would enable him to enlarge the facilities of his company, the Herder publishing house, for which he bought the chamfered corner building of Carrer Roger de Flor and Carrer Provença, that he entrusted to Josep Ribas González. 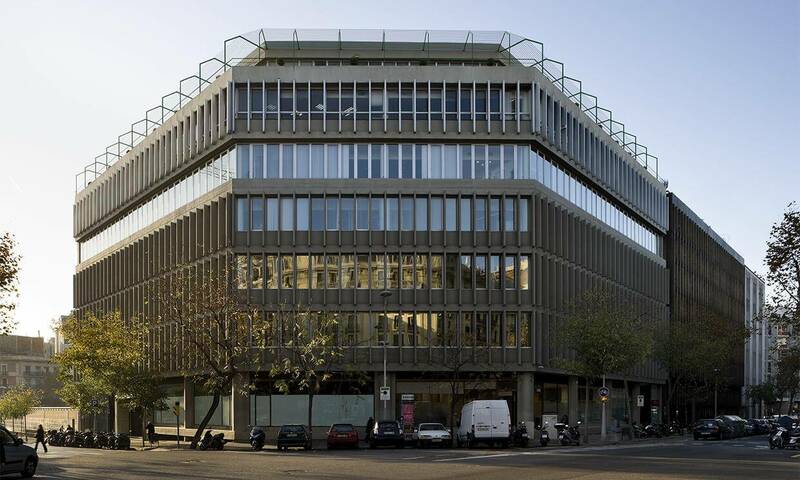 Similarly, in 1965, and taking advantage of the purchase of the chamfered corner opposite the Herder building, on the corner of Carrer Provença and Carrer Nàpols, the Valtl family once again commissioned Ribas to construct a building to house a printers, Grafesa, which had to cover the needs of Herder and be open to other clients as well. Grafesa has its origins in the prestigious Impremta Elzeveriana printing company, founded in the Modernist period and which they had bought in the nineteen-fifties. Ribas planned a strictly industrial building comprising a basement, ground floor and first floor to house the printing installations (machinery, storage, lorry entrance, etc.) and two floors for offices. 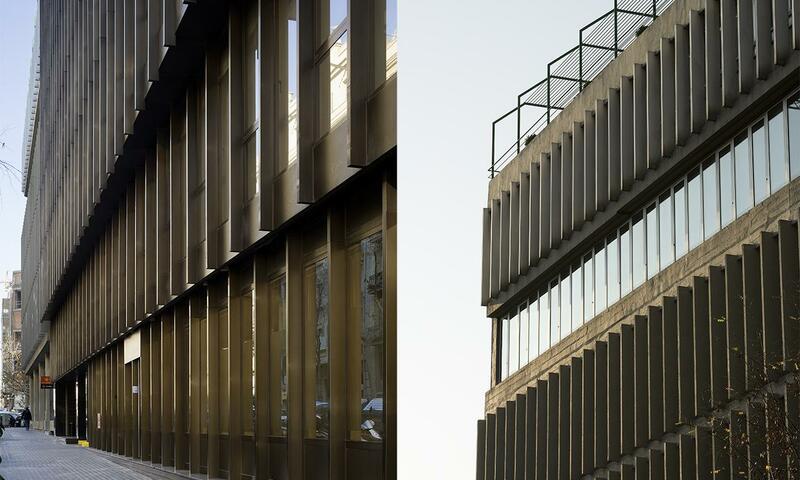 On being a new building, without preexisting constraints, both the inner structure and the exterior walls are much freer, even though the lines of the vertical profile regulates the building’s façade. The succession of different vertical windows creates a continuity that provides great luminosity to the property and suggests a curtain wall effect, even though there is not one.